Intel Atom X3 Sofia C3230RK vs. Intel Atom Z3537F Antutu Benchmark Score Fight : Which One Performs Better in Actual Use? Last night, TP Friend Oreo Pontejos from Far Eastern University in Manila sent me this tech question via Twitter. He's wondering which chipset - between the new Intel Atom X3 Sofia and and Atom Z3735F - performs better. Both of these 64-Bit Quad Core processors power some of the best Windows and Android tablets and hybrids that are out in the market. 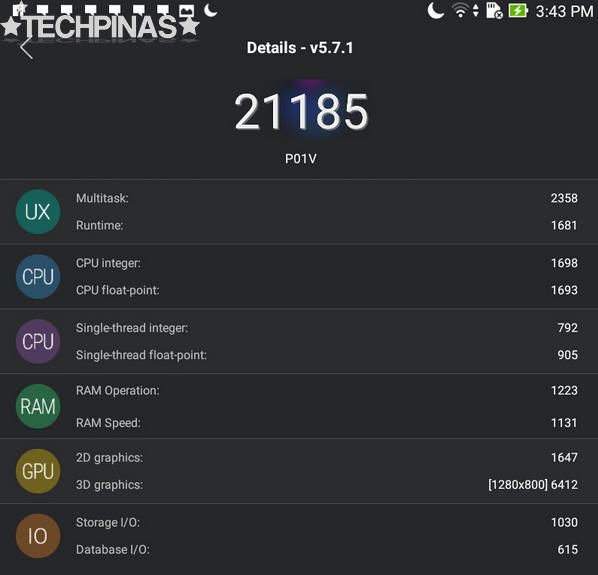 As per Oreo's request and for the benefit of casual consumers who are still clueless on which of these two is more powerful, here are the Antutu Benchmark Scores of two tablets running on the said Intel chips. One of my slates powered by Intel Atom X3 Sofia C3230RK with Mali 450MP4 GPU usually gets an Antutu Mark in the range of 21,000 to 22,000. In this case, I got 21,185. 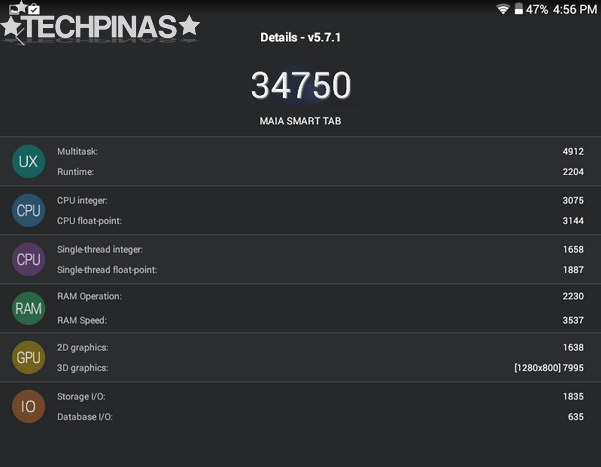 My dual boot tablet running on Intel Atom Z3735F, which was launched in Q1 2014 and comes with Intel HD Graphics chip, gets an Antutu Benchmark Score in the range of 34,000 to 36,000. Here, I got 34,750. Well, I don't have to tell you that the 22nm Z3735F completely slays the 28nm X3 C3230RK in terms of overall performance and this is something that you - as a user - will feel in screen transitions, 3D gaming, as well as how fast applications launch and run on your device. Study the breakdown of each score. Later this year or perhaps early next, devices running on the 64-Bit 1.4 GHz Quad Core Intel Atom X3 Sofia C3440 with Mali T720 graphics will hit the market. I believe the performance of that chipset will more or less be able to rival that of the aging Z3537F. Though, we'll have to run the same test on a tablet or smartphone running on it to know for sure if it's that good.